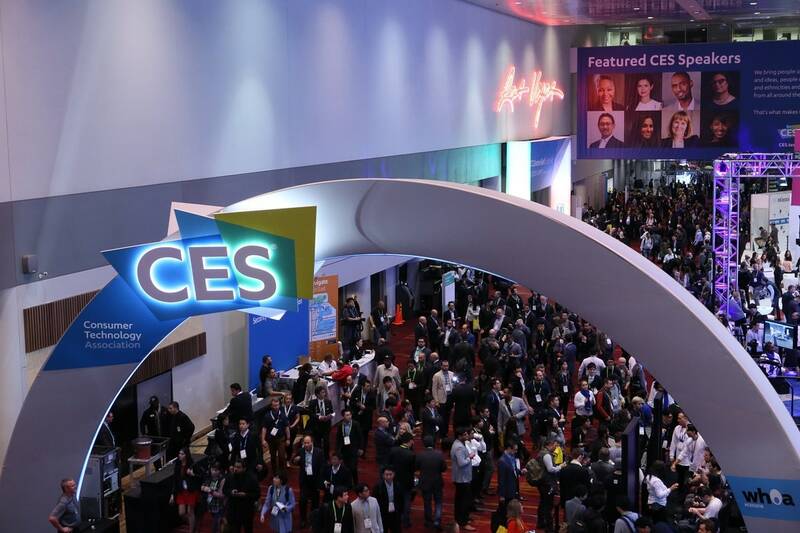 The recently concluded CES 2018 saw some dazzling exhibitions of world-changing technologies that provided us with a glimpse of how technology of the future will look like. Several companies from the 3D printing industry also took an opportunity and used CES 2018 as a platform to launch 3D printing technologies with a view to transform the 3D printing world further. There was plenty to take for the 3D printing industry at CES 2018. The following is a focus on eight products in particular that grabbed attention at CES and are set to transform the 3D printing world in the future. Among all the innovative product offerings at the CES 2018, Dobot is by far the most distinct. 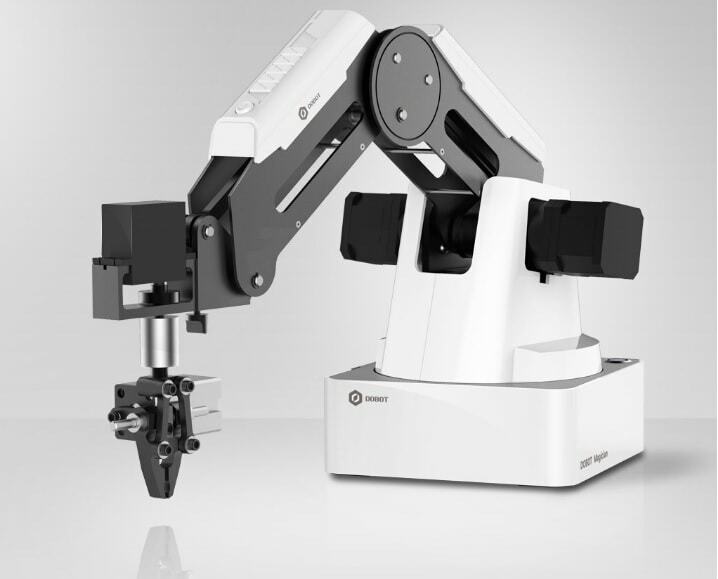 It is not a conventional 3D printer but a programmable robotic arm which can work as a 3D printing extruder capable of printing in a build volume of 150 mm3. It can also perform other tasks like laser engraving, painting, and writing. It has 5 end effectors namely, 3D printer hot end, vacuum cup, gripper, laser and a pen holder. This Chinese innovation by Shenzhen Yuejiang Technology has been recognised as a CES 2018 Innovation Awards Honoree. After winning hearts in India and after winning the Best of Innovation Awards Honouree at CES, Ethereal Machines – an India based startup’s Halo is the latest innovative addition to the 3D printing market. The special thing about Halo is that it is not the regular 3-axis printer. Halo 3D Printer is a 5-Axis Printer coupled with a 5-Axis CNC Router bundled into an affordable single machine. The addition of two axes enable to print far superior and complex structures than the regular 3-axis printers. In December last year, Kwambio – a New York-based startup unveiled a new ceramics 3D printer known as Ceramo One. Built with new form of binder jetting 3D printing technology, this 3D printer works with different range of clay-based powders rather than using ceramic-based paste or filaments. Its high precision and speed is expected to speed up and optimise the manufacturing process of ceramic products. The San Diego based company, Uniz Technology, demonstrated their new 3D printing technology called Unidirectional Peeling (UDP) which significantly reduces the peeling time taken by conventional SLA printers. By reducing this time, UDP set a new world record by achieving 3D printing speeds of over 700mm/hour in the Z-direction. The company also launched 5 new printers; 3 desktop and 2 industrial which use the new UDP technology. The World’s First Hybrid 3D Printer by Rize Inc. 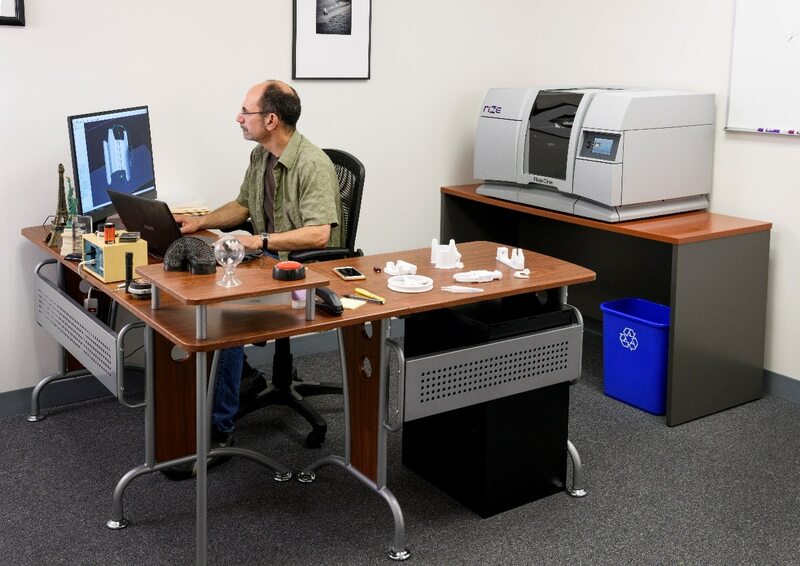 Above: Rize Inc’s Hybrid 3D Printer used in an office environment/ Image Credit: Rize Inc.
Rize Inc, showcased the World’s First Hybrid 3D Printer which is a combination of two 3D printing technologies into one, namely Fused Deposition Modelling (FDM) and Piezo Jetting. The process called as Augmented Polymer Deposition (APD) is patented by Rize, and it prints in multiple materials with negligible post-processing. 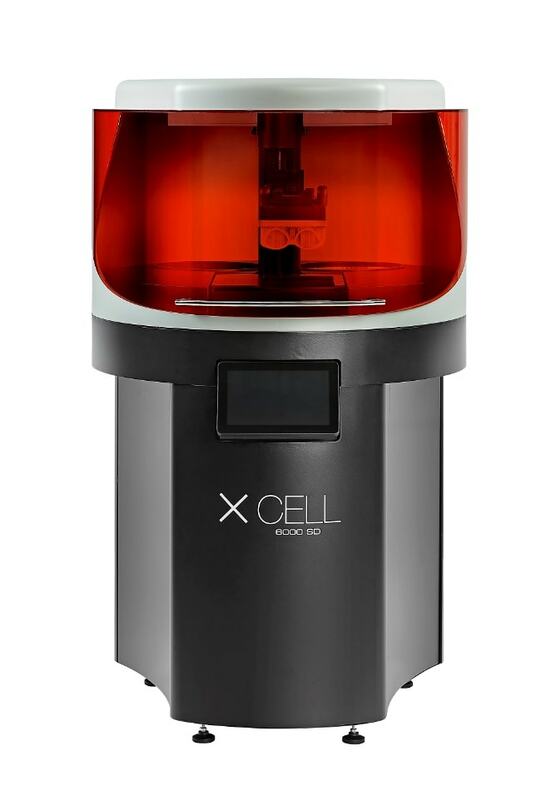 XCELL 6000SD is a ground-breaking concept of an All-in-One Work Cell for 3D printing. It offers a new kind of 3D printing experience where once a file is imported the printer does all the operations and we obtain the 3D printed part which is already washed and cured. 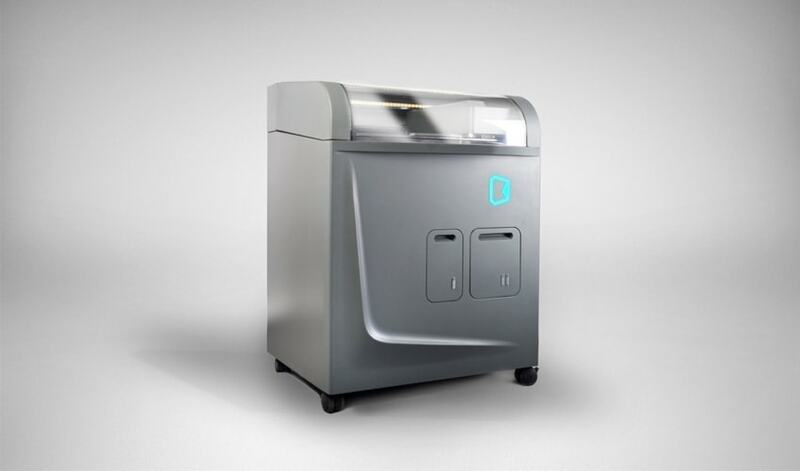 The DWS XCELL 6000SD is an innovative product which brings 3D printing closer to the end user and makes it easier to 3D print any product. 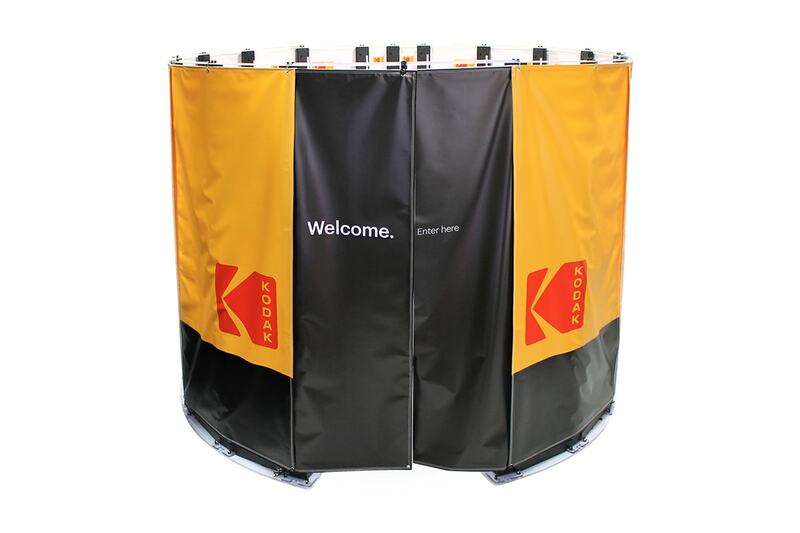 Kodak’s full body 3D scanner was just all over the place at CES 2018. Designed along with its brand licensee, Twindom, the new full body 3D scanner has been designed as a powerful solution for the fast-growing 3D printed figurine market. The new 3D scanner has been built using Twindom’s industry-leading hybrid 3D scanning technology which helps produce high resolution 3D scans, which in turn can be easily converted into 3D printed figurines using a full colour 3D printer. 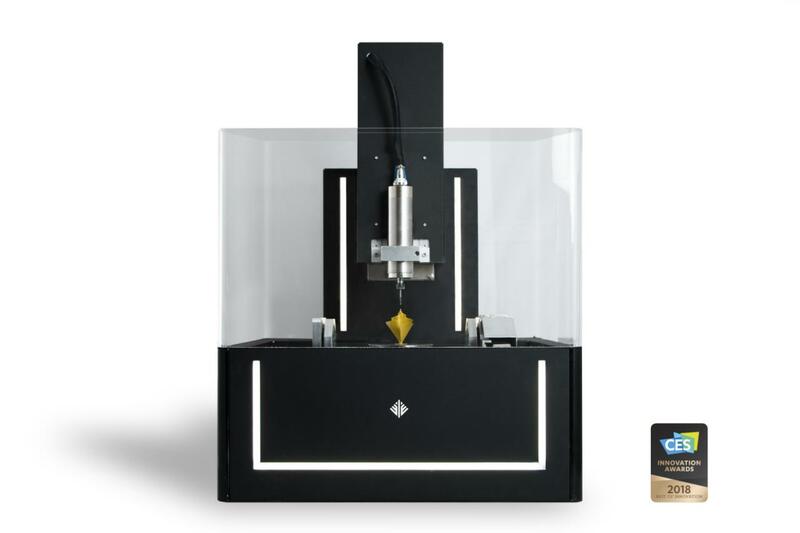 Kodak also showcased its first 3D printer – The portrait but this time with a dual extruder at CES 2018. These recent launches from the 130-year-old company are a testimony that the company is here to stay and revolutionise the 3D printing market. The Rigid Resin and the Grey Pro Resin are the newest materials to come from Formlabs’ kitty. 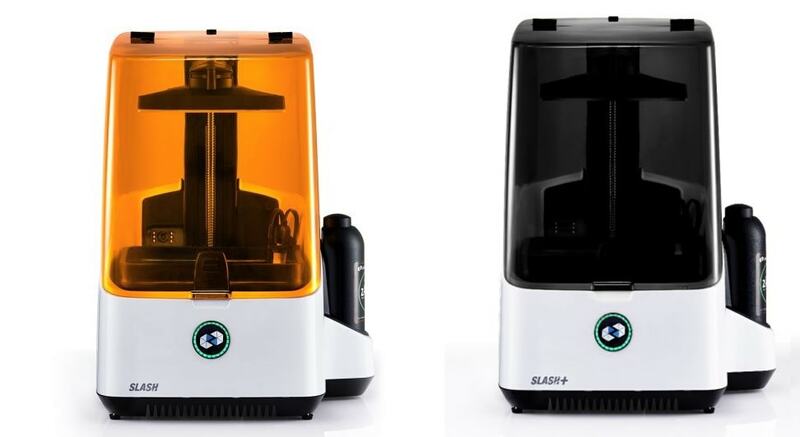 Built to cater two different applications, these two resins are expected to drive 3D printing into more end-use application and known to guarantee improved material properties as well significantly reduce the cost per part.